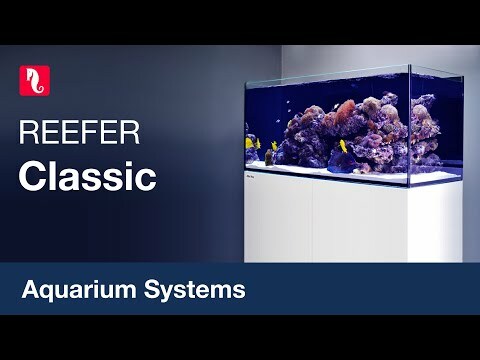 What water & air pump do you recommend for the Red Sea Reefer 350, 73 Gallon Aquarium? For water pump we would recommend Simplicuty 1600 DC pump. When it comes to air pump it would depend on number and size of the difusers but medium size dual outlet pump like Fluval Q2 would be a good fit for this size tank. I ordered this tank from Aquacave, who I found online in doing research for this tank. I was a bit hesitant about ordering a product that cost as much as it did, BUT was pleasantly surprised each step of the way. The whole process from ordering to delivery took less than 10 days. The biggest issue was my local UPS Freight delivery. Seems in my area they only do freight on Thursdays. My tank was actually in Dallas about 4 days after ordering. It took another week to get it from Dallas to Little Rock. I cannot say enough good about the care that Aquacave took to insure I was kept aware of what was going on during the entire process. surrounded the whole pallet. It was strapped and very secure on the pallet. My only disappointment in the whole package was when I saw the diagram only instructions for assembly of the stand. Do yourself a favor and lay out the pieces according to the diagram, I used my garage as the staging area for all the parts. I studied the diagrams and it went well. I would consider myself to be a little above average in doing this kind of project, but a couple of the diagrams had me scratching my head in confusion. It took about 4 or 5 hours for me to assemble by myself. The stand is very heavy! I would suggest building the stand as close to where you want it to be. I used the kitchen for assembly on a moving blanket, then I could drag it into my den where it will be setup. If you "take your time" and don't try to rush through the assembly of the stand and the tank itself, you should have no problems in getting all things together. Once I finished the stand and tank and took a step back to see the end result I was very pleased. The Reefer 350 is made with care and craftsmanship. It's my ultimate tank and it is now set up, cycling and in a few weeks will be ready for living creatures. I ordered everything for the tank from Aquacave. I spoke to Albert and Beatrice on a couple of occasions with questions about products. They were very helpful, you can tell customer service is a top priority. I did my research and they had the best prices on all pieces of the puzzle. I was shocked how quickly I received my orders from them. It took two days from the day I ordered to receive the product.